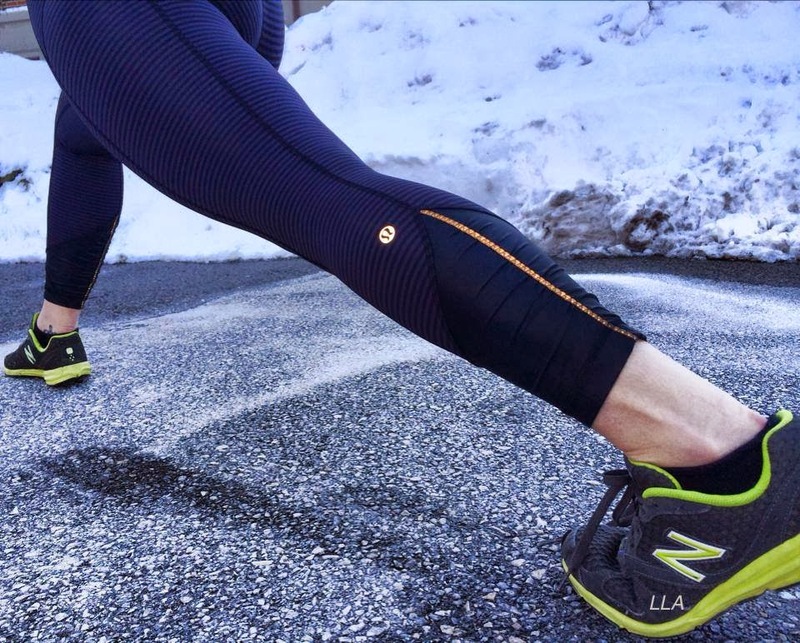 The new Pace Queen tights. I really like the Cadet 1/8 Stripe print but don't need tights. I hope the Inspires will be coming in this print because I'm not a fan of the other two run crops styles (Race with Grace and Cut the Crops) that the 1/8 print comes in. 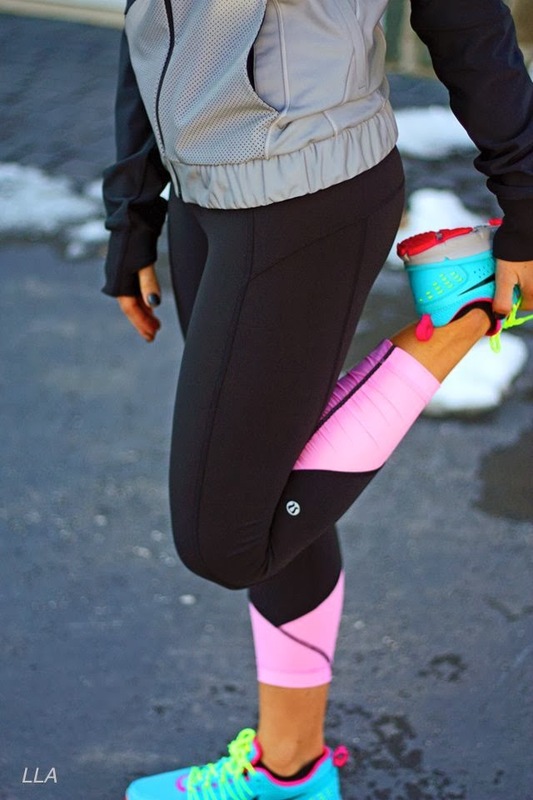 The new Run Righteous Tank, shown with Pace Queen Tights. The cotton Roll Down Wunder Under Pant. Shown with the 1/8 Cadet Stripe Every Yogi Tee. The Cadet Blue reversible Wunder Under Pant. Shown with a Soot Forme in the top photo and a Very Light Flare Scoop Neck Tank in the second photo. The Vintage Pink and Very Light Flare Flow N Go tanks. Heart Chakra Scuba. These have been repriced to $108 in the stores.Pulled from the stores and website for typos. After Asana Pants in Heathered Black and Cadet Blue. Love the pace queen tight! The scuba chakra is gone from the website right now. I bet it's for repricing. I noticed that the Chakra Scubas are no longer on the US and Canadian websites this morning. As of last night, the only Chakra Scuba that was almost sold was the heathered black one. They probably pulled it off the site due to the pricing issue. I'm glad that they are pricing these special edition scubas with the same price as the regular scubas. The other special edition scubas from this winter are overpriced! 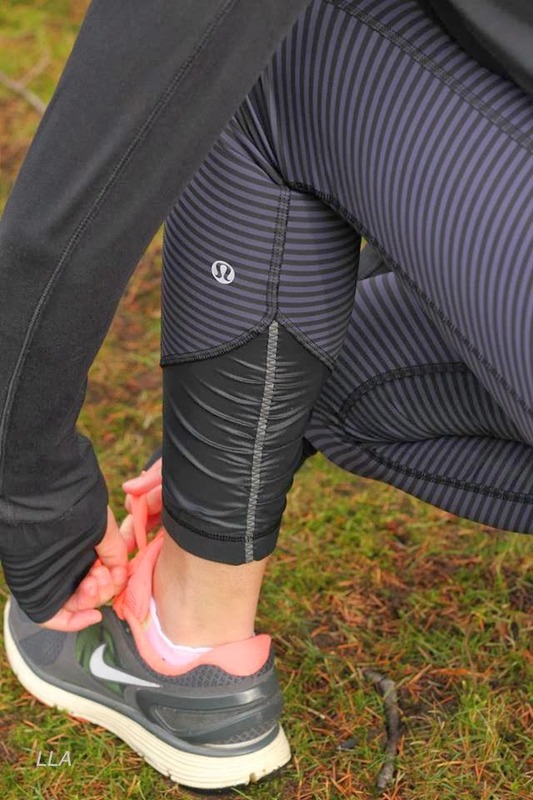 Re the Race with Grace crops, I was skeptical when they went to MD so fast, but I tried a black pair on in my usual sz 4 at my local store and really liked them. Used them for a run yesterday and was pleased. They stayed put, felt good and I couldn't see any sheerness. A great buy for $59. I also bought 2 Run Times tanks, a Bali breeze and a cadet blue. They're cute and supportive and I got several compliments on the Bali one, but for running the top won't stay put. I cinched it tighter and that didn't help. I run in Tame Mes and Ta Ta Toppers too and they stay put pretty well. Maybe I need to play around with the drawstring, but that was my only complaint about this otherwise great new top. The run righteous tank and the mountain tank do not look good. The run tank pulls and looks like it might require tugging back in place during a run. The other one is just dumpy. I can't get over the weird crotch stitching on these wee are from space WUCs. 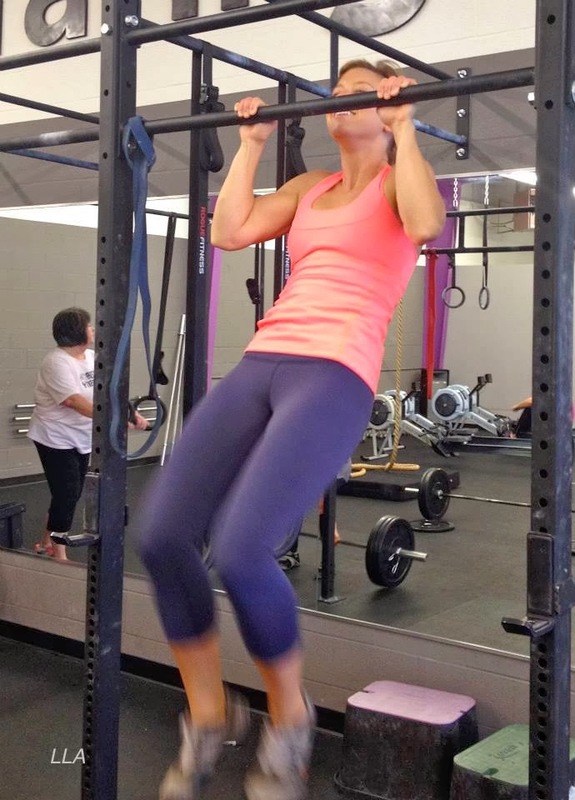 Seriously, who thought that was acceptable for women's workout gear? Such a shame because I was really looking forward to a space pink print in bottoms. at6:18 a.m. - agree with you on the Race with Grace crops...the fit is fine and no issues at all with it - just as compressive as the Inspires and no sheerness. I've been running in them for the last two weeks. 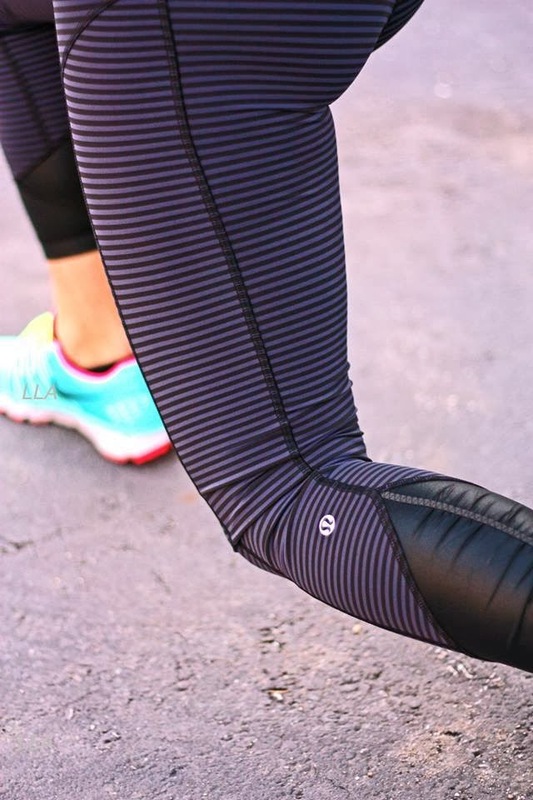 What is that material at the ankle on the Pace Queen tights? It looks crinkly and kind of like it wouldn't stretch. OT: I am so frustrated that the Rise and Shine Camo jacket is on eBay...for $300. It was sold out in all sizes within a couple hours of the upload, and my store won't receive it. I sell my gently used Lulu on eBay and appreciate the return I receive. I've also sold unworn items that don't fit right or that I've changed my mind about (thanks to Lulu's lousy return policy). But I would never buy out a popular item only to double or triple my earnings! I am angry that these people are giving all ebay sellers a bad name, and making it difficult for longtime lulu fans (like myself) to get items we want at even higher prices. Personally, I think the reversible WU cadet blue to black is a waste - the 2 dark colors are too similar. Should've done it with something fun like Bali Breeze. I like the Pace Queen tights a lot, but in Canada I would prefer a brushed material (though won't run in anything below -10C. Apparently I was NOT made for this weather). It would be nice if they started doing a warmth rating for their materials. Hi 6:18 with the run times tank. Do you think the bra is supportive enough for someone who is a 34D? OT I washed the hotty hot skirt in the light flare color, no bleeding. I also ran 3 miles with it and it performed well. I think if you have muscular thighs the short might get uncomfortable after a few miles. I liked the fact that this skirt is a bit longer than the pacesetter skirt of which I have 20. I counted them last night yikes? I"m so sad i tried to get the camo jacket and shorts and they are all sold out! :( If anyone sees these in a sizes 4 I will buy from them and pay for shipping! 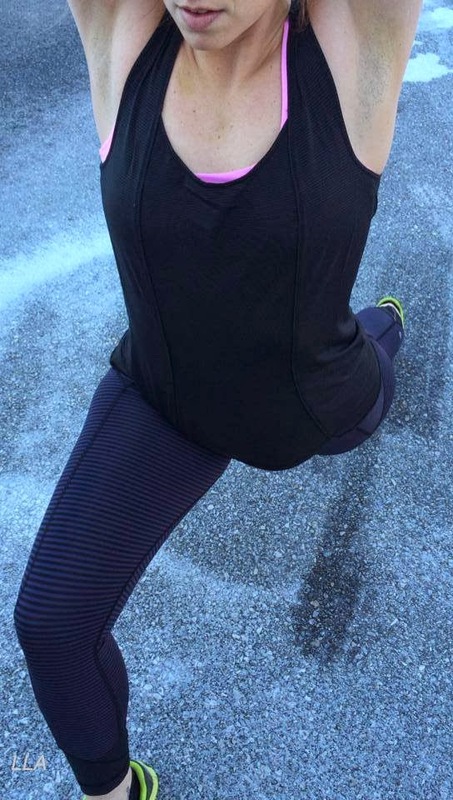 Just my 2 cents...I tried on the new After Asanas pant last week in store and several people both Ed's & customers said they were short and tight. Tried my usual size so you may want to try before you buy. Is anyone else frustrated by the lack of running crops that are available? I love for my crops to have compression for running and don't feel the Inspires have enough. Wish they would bring back some old styles like Run: Reflect Crop & Run a Marathon Crop! I hope they make the Inspires in the Cadet Blue stripe too. Does anyone know how that luxtreme is? Sheer? Love the 1/8 cadet stripe Cut the Crop so much. The parallel stripe wuc that was so popular was just too much for me. This stripe is so flattering and a lot more subtle. Update on the Chakra hoodies: They've been pulled from the stores and website due to the grammer/spelling errors. I went to order the soot hoodie from the lulu site this morning and saw that they were pulled. 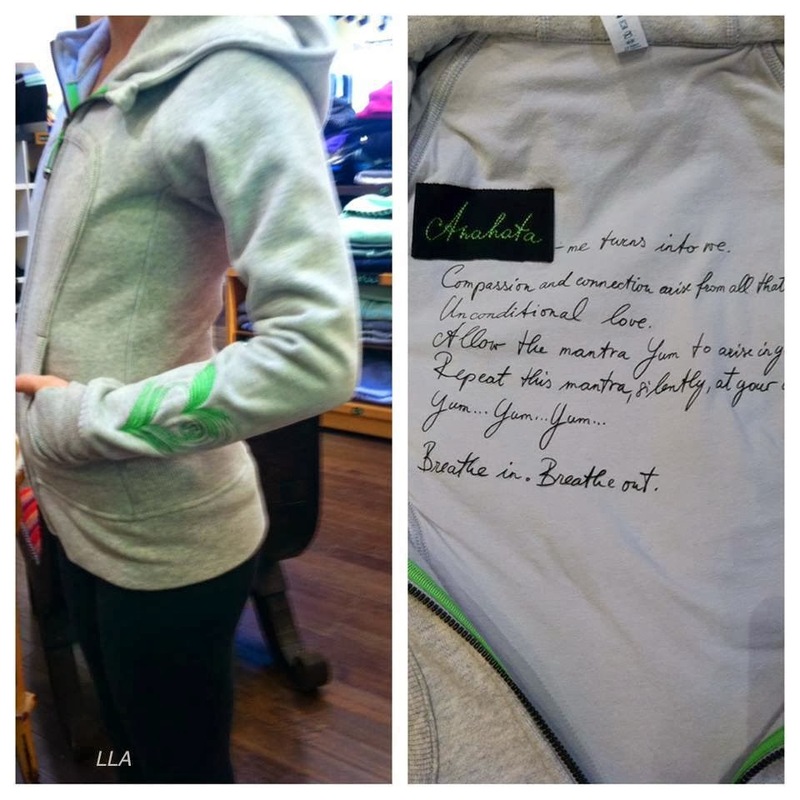 So I called my local Lulu store (SCP) and they confirmed that they had them. By the time I had gotten there, they had pulled them from the floor. Since I had called ahead, they let me purchase the hoodie as long as I was ok with the spelling error. Corporate called all of the stores this morning and instructed them to pull the inventory and send them back. Word from the Lulu girls is that they are going to re-make this batch again to correct the errors. I'm fine with it. Now it's super, special addition! LOL Oh Lulu! Oh and the sizing is back to it's original, glorious length and fit. I had to size up to a 10 in the new design to accommodate my broad shoulders and bust. In the new hoodies, I am back to my size 8. Hope this helps!! Can anyone help me out with the skinny wills? I have a black pair but am curious about these two fabrics: pique luon black and wee striped black. Anyone know if one pills more than the other or is more sheer? Thanks so so much for any help! I just read on Facebook that the Chakra Scubas were recalled because they "didn't change the spellcheck to the Sanskrit setting." So I guess that's a roundabout way of saying there were typos, unless I am misunderstanding? That's a pretty big, expensive mistake, and if they're blaming it on spell check, they really need to revamp some QC processes. They need to just take a deep breath, slow down and get it together. Argh. I paid $128 for one of the Chakra Scubas. Guess I'll be returning it since they don't do price adjustments. The Run Righteous tank is SO hideous. Ghastly back. @10:20 re the Run Times tank being supportive...yes. I'm a 34D as well and I felt very supported in this tank. More so in this than the No Limits. I have lots of No Limits tanks but I don't run in them. Also big thumbs up to the Core Kicker tank. I wore it today and was happy with the fit and support. Hoping it comes out in more colors. So what will happen to all of the pulled Chakra Scubas? It's a waste if they can't sell them. I wonder if they will end up at the outlet stores or warehouse sales. Anon @10:26am - I don't find luxtreme sheer, but it definitely FEELS thinner (you don't get that "compressive" feel). It's meant to be a "cooler" feeling fabric and it is certainly that. thank you 5:48 I really like the look of that tank. I wonder if they will sell the typo hoodies in WMTM like they did the yoga mats that had a spelling error. Totally agree with anonymous 5:38. Hideous is such a hostile word. OT: Has LLA or anyone done a review of Lucy? I have a friend who sears by the perfect core line, the hatha line, and smoe of the support tops? Anyone have an opinion? Thanks so much. So happy that LLL is finally getting its act together! @ anon 10:56 am - I wore Lucy years ago (6-ish? ), right before I started buying lululemon so I think my info about them is probably out of date. 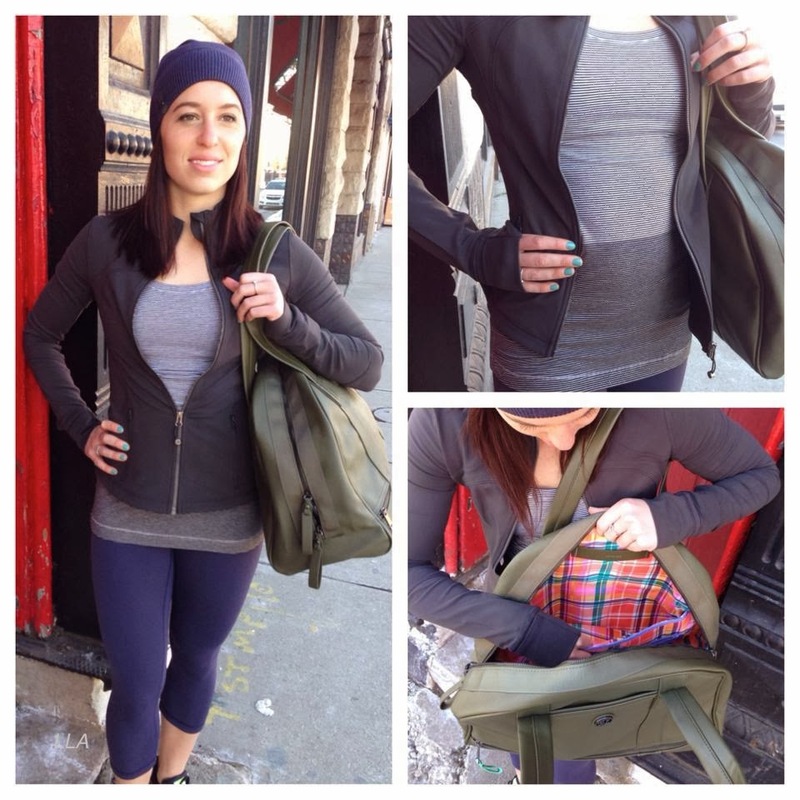 At the time, the fit was more generous than lululemon and the fabrics were heavier. OT: I see so much confusion on fabrics here from posters. Luon: should lay FLAT, not be compressive. Women often try to size down for "compression" then find them to be sheer. Luxtreme: should feel compressive. Meant for run usually and will be sheer if you do super deep bends in run crops (like Inspires). Some luxtreme is interlocks and can be used for deeper bending/stretching but depends on the body type, in my experience. Also, they need more of a spell checker - this is the second time I've heard of this. 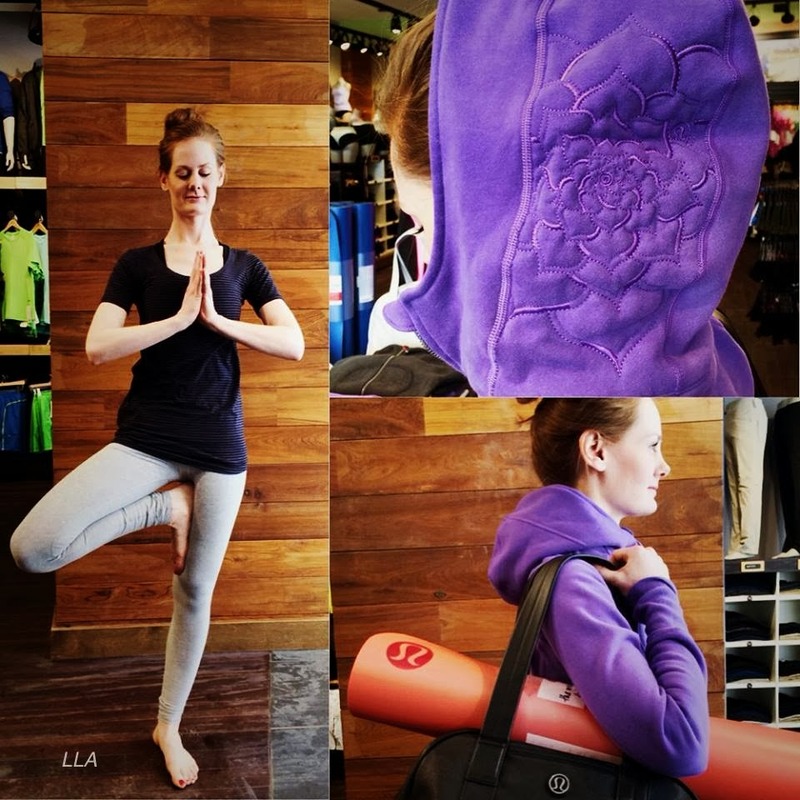 Lululemon is not a start up. They make billions of dollars each year, they can afford to hire someone to QC this. Expensive mistake! P.S. Loving the Valentine's Day themed Captcha words! @W - thanks! I hate those spammers.